Posted May 10, 2016 by Suwannee River Rendezvous & filed under Suwannee River Activities, Suwannee RV Resort. If you are heading out on the open road this summer and are always trying to come up with the next best game for your kids to play, we have a few ideas for you. If you are on your way to visit us at Suwanee River, even better! We can’t wait to see you this summer. Travel Bingo – this themed game is great for time spent on the road. It keeps your kids focused on the trip, and not on how many minutes till they get to the destination. This game will have road signs and other common items that people will see while on the road. Movie and Name Games – this will test your and your children’s knowledge of pop culture. You will start by naming a movie for example “Finding Nemo” and then the next person would name a movie that starts with the last letter of the previous movie so a correct answer would be “Oliver and Company”. You can do the same thing with celebrity names and go on for hours on end. Farkle – if you are faced with a rainy day or a cold night and are looking for something that everyone will enjoy indoors, you should try Farkle, it is a dice game where the goal is to be the first player to get 10,000 points. Buy Farkle for your trip now. 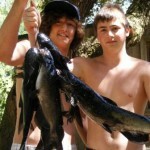 At Suwannee River Rendezvous, we know how to have fun this summer with games, kayaking, fishing, entertainment and more. Contact us at 386-294-2510 and reserve your vacation spot today! Posted March 7, 2016 by Suwannee River Rendezvous & filed under Suwannee River Activities. With the spring semester just about half-way over, that means spring break isn’t too far away. During this time, many will simply head home for some rest and relaxation while others will be looking to get away and enjoy themselves. If you are a part of the latter, then the Suwannee River Rendezvous might be just what you’re looking for. Now, at first, heading out to the wilderness might not be the first choice for college students but we offer a wide variety of fun activities that are sure to keep you and your friends more than entertained. If you want to hit the water, we offer canoe and kayak rentals that will allow you to travel along the river. While on the river, you will be able to take in all of the beautiful sights that surround it. There is also a great deal of wildlife around the river as well-meaning you might be able to get a glimpse of some of the animals that call the area home. 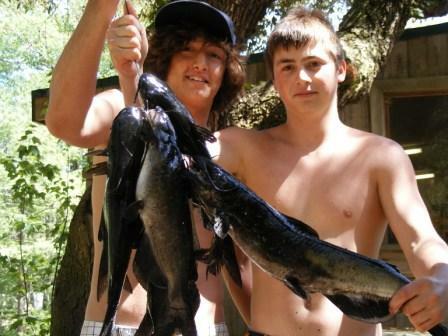 We also offer fishing for anyone looking for something more adventurous during their break. While on the boat you will have an opportunity to catch numerous different fish including Large Mouth Bass, Suwannee Bass, Mullet, Bream and Channel Catfish. We also offer affordable lodging as well. Whereas booking a hotel in tropical location might cost an arm and a leg, our pricing won’t cause you to break the bank just for a little fun on spring break. This will allow you more money for extra activities will on break, creating an overall more memorable experience. 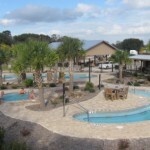 Suwannee River Rendezvous is a resort and campground in Mayo, Florida with numerous activities that will make any vacation, including spring break, unforgettable. 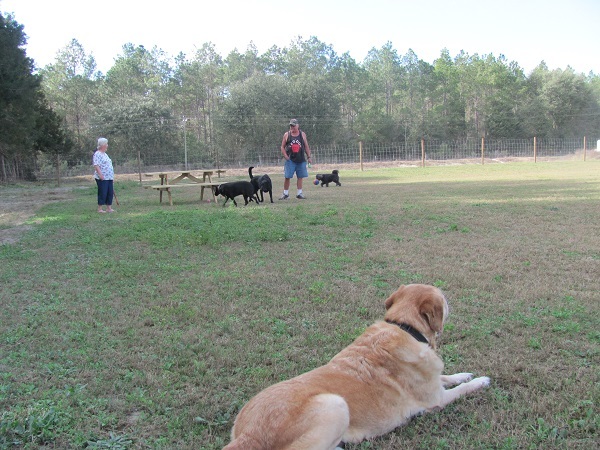 If you would like more information on our campground or would like to book a stay with us, then call us today at 386-294-2510! Posted February 24, 2016 by Suwannee River Rendezvous & filed under Suwannee River Activities, Suwannee RV Resort. 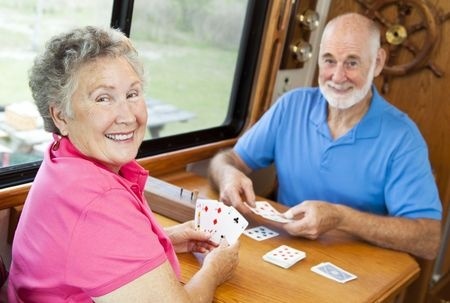 With summer not too far away, many families will be hitting the road in their RV for a nice vacation. It could truly be a great time but if you don’t come prepared your trip might turn into quite the nightmare. Depending on the RV you’re traveling in will depend on what kind of bedding you bring. If it is strictly for traveling, then you will need a sleeping back and even a tent to sleep in. However, if it comes equipped with a bed, then a few sets of sheets should be more than enough. Again, this depends on what kind of RV you have, but some pots and pans should be able to handle anything you’re going to cook no matter where you do it. Be sure to bring along utensils like can openers and tongs also. If you can’t eat everything you’re bringing with your hands then bring along enough forks, spoons, and knives to last the trip. Even though it’s a vacation, the travel can become quite redundant and boring after a while. So bringing along items such as board games and sports equipment will help keep things fun and exciting. If you’re traveling the country, be sure to have clothing for any situation you may encounter. Also, be sure to bring enough to last the whole trip as well because running out of fresh clothes will not be fun for you or your fellow travelers. Just as if you were traveling by car, it would be smart to bring some automotive essentials with you just in case. Bring a tire gauge, jumper cables, and tools such as wrenches or screwdrivers because out on the road anything could happen. 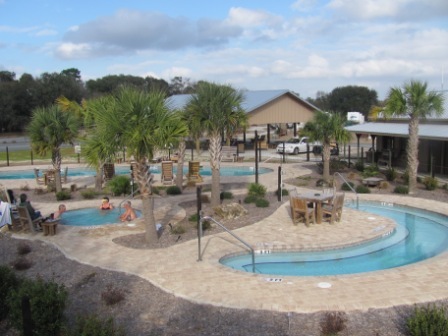 Suwannee River Rendezvous is a resort & campground in Mayo, Florida, offering a wide variety of attractions and activities to make your vacation great! With so much to see and do, you won’t ever want to leave! 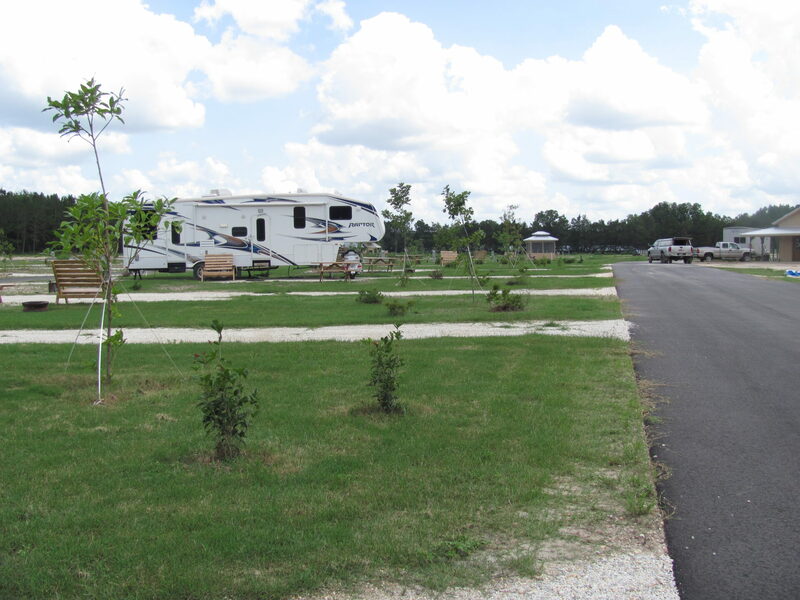 If you would like more information on our campground or would like to book a stay with us, feel free to contact us today or call us at 386-294-2510! Posted January 27, 2016 by Suwannee River Rendezvous & filed under Suwannee River Activities. From sports to cooking, music to woodworking, there is many activities and hobbies that can help a parent and child to bond over. The great sport of fishing is something that male and female, young and old can go out and participate in together, all the while getting to know each other and learning the patience and exuberance of the catch. But when is a good time to introduce your young ones into the family tradition of fishing? 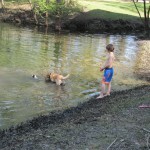 They should be at a certain age that the child is engaged in the act and still find it fun because sometimes it can take a long time for that pesky fish to bite the line. If the waiting is not understood or accepted by the young child, then the might not enjoy the overall fishing experience. And the equipment being used, such as a fishing pole, lures, hooks and bait, can be a challenge and dangerous if not properly handled. That’s why it is important to introduce them to fishing and its etiquette slowly. By the age of three, many kids have gathered the rules and grasped on its patience, reacting properly to the various situations that might arise. Helpfully, by the age of three the natural curiosity and the want for inclusion will take over, drawing them into the new adventure and experiences. At three-years-old your offspring will have a better understanding of fishing from their senses, hearing, seeing, and talking about it. If you show your enthusiasm for the sport, that alone will give them excitement as well to be included. Show them the good and the bad, not to feel bad if they don’t catch a fish that day and learn that there will be more fish in the sea, lake or river to get the next time they try. When they do get something to latch onto the hook, show them how special the occasion is and how proud of them you are, putting a cap on the wonderful day you spent with your child. At Suwannee River Rendezvous, fishing is excellent on the Mayo, Florida river. 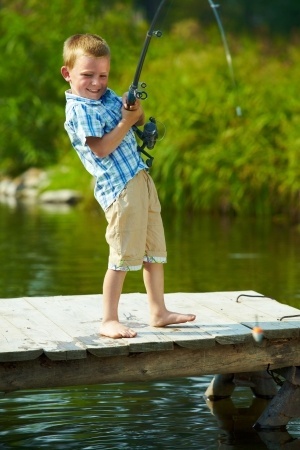 We have all types of fish to catch and you can enjoy your time with your little ones teaching them the fine art of the catch. For more information on our fishing activities or reserve a camping or RV vacation, please feel free to contact us today! Posted January 20, 2016 by Suwannee River Rendezvous & filed under Suwannee RV Resort. Having an RV is great if you are planning on traveling or going on vacation for an extended period of time. However, camping sites can get crowded which can lead to a bad experience for everyone involved. 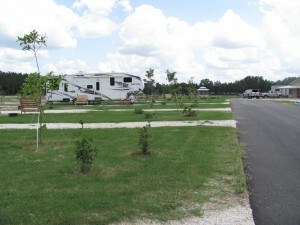 That’s why we here at Suwannee River Rendezvous have opened our RV Resort perfect for drivers of the automobile. 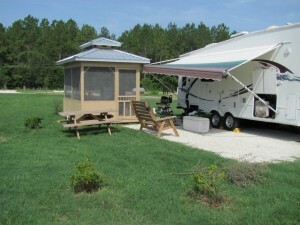 Upon arrival, your RV will have its own pull-through site with enough room to fit the vehicle as well as a car if need be. Every site comes with a picnic table, fire ring, free WiFi, and satellite TV to enjoy once things begin to wind down for the night. From there you will see our beautiful pool complex containing a large swimming pool and two spas. We keep it open and heated year round unless the day’s temperature does not break 60, which isn’t often. Once, you’ve seen that and you’re all settled in, you can take a ride in a canoe or kayak along the historic Suwannee River. While out you can either fish or take in the amazing wildlife in the area. We also offer activities on the weekend. 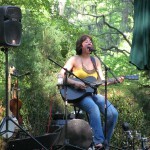 On Fridays come play Bingo or sing along with Susie at the lodge. Then on Saturday, head over for some Karaoke and trivia that are sure to be a lot of fun. The lodge is also available for cards, games and parties as well. Also, if you happen to run out of anything while staying at the resort, there is a Wal-Mart, a grocery store, and a hardware store only 30 minutes away. 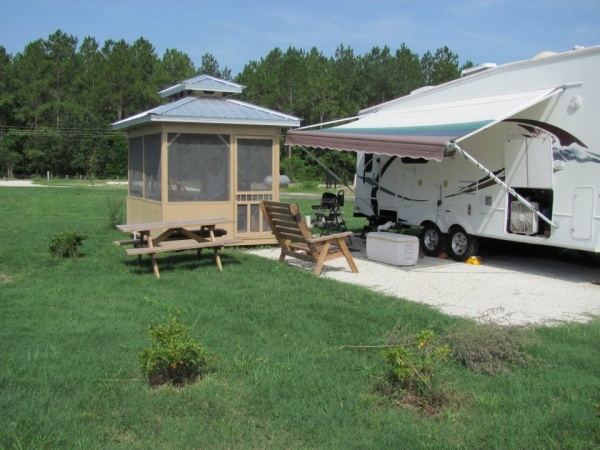 Suwannee River Rendezvous is campground and resort in Mayo, FL that is now offering an RV Resort perfect for extended stay visitors. If you would like more information or want to book a stay with us, contact us or call today at 386-294-2510! 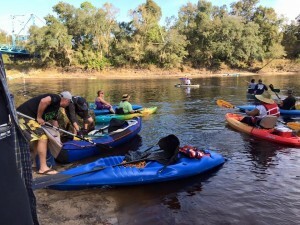 Posted January 19, 2016 by Suwannee River Rendezvous & filed under Suwannee River Activities. 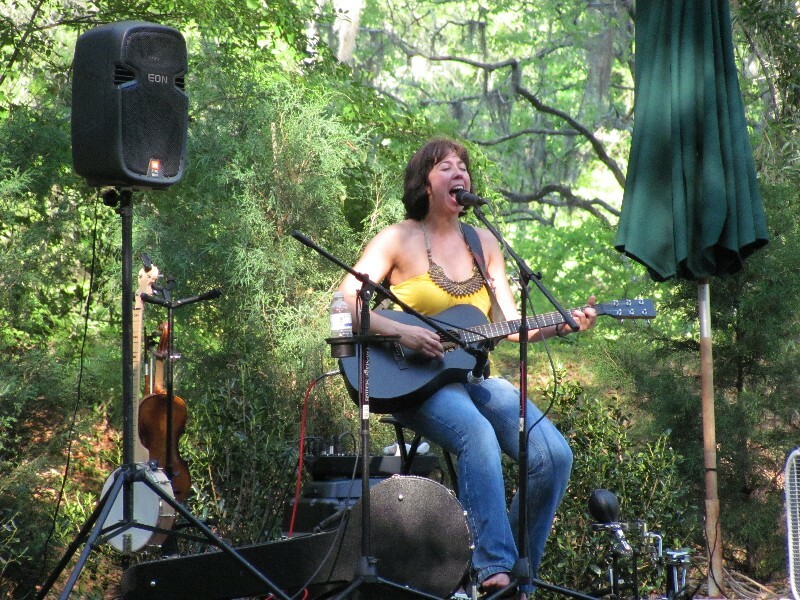 If you are coming to the Suwannee River, you come to enjoy yourself. Being in Florida, we are lucky enough to have great weather nearly year round. With this being said we recommend taking a canoe or kayak down the Suwannee River. No matter what your interests are, a canoe ride can be enjoyable and a great escape from daily life. The sounds of the river, seeing nature upon the banks and even in the water next to you can be both thrilling and relaxing. 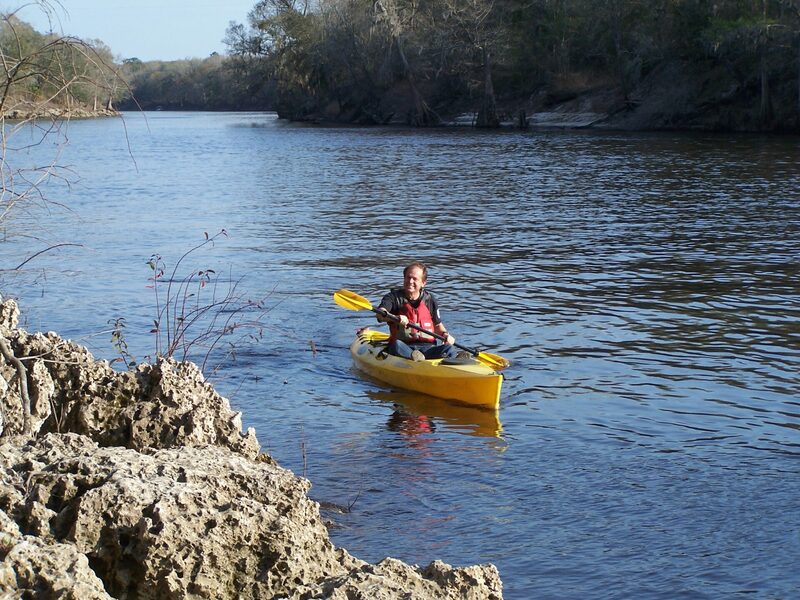 You can enjoy the Suwannee River no matter your skill level; it is a comfortable experience for all that come and visit. There are five river camps that can be enjoyed while paddling down the river as well: Woods Ferry, Holton Creek, Dowling Park, Peacock Slough and Adams Tract that you can visit along with state parks and county parks. The river snakes through Okefenokee Swamp in Georgia into the Gulf of Mexico and spans 270 miles. You can possibly see a few alligators, kingfishers, cardinals, and deer along the banks and cypress trees along your trip. You really can’t get such great scenery and connect with nature, as you can here, compared to other locations. Here at Suwannee River Rendezvous, we will supply you with canoes and kayaks for your adventure. We have several available including a Ganoe which can fit 2 adults and 3 children comfortably. We do have 3 – 4 person canoes available as well as eight-12 ft. kayaks and two–10 ft. kayaks available. There’s a totally different setting and scenery to be enjoyed in Florida other than the popular theme parks that most families think of when they imagine Florida. Come enjoy the Suwannee River with us on your next vacation or weekend getaway and learn why so many people enjoy spending time with us canoeing and kayaking the river. Posted January 18, 2016 by Suwannee River Rendezvous & filed under Suwannee River Activities. Planning activities for vacation can be tough, especially when you haven’t been to the area before. 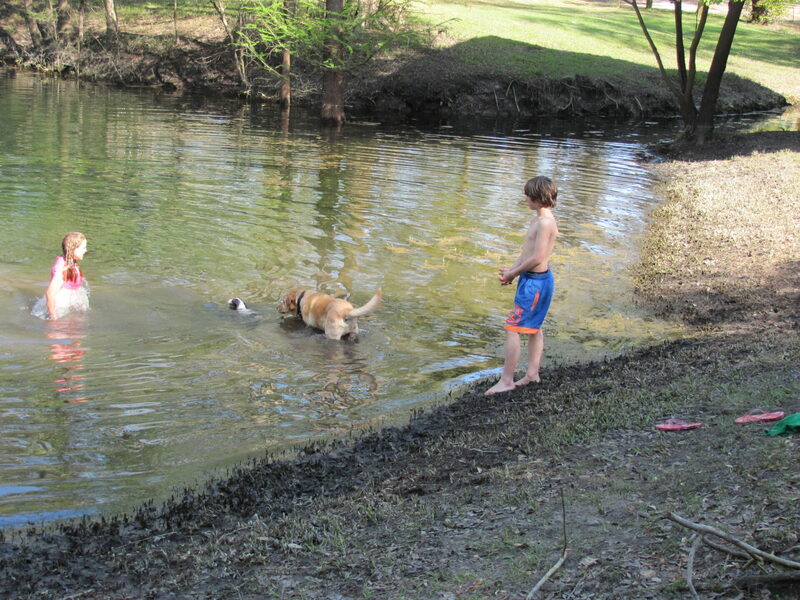 Luckily for you, there is plenty to do along the Suwannee River that can keep you and your family busy for days. 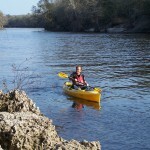 We here at Suwannee River Rendezvous offer canoe and kayak trips. On that trip, you can either bring your own boat, which we can haul, or you can rent one of the many we have available. 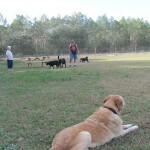 The best part about them is they are on demand, so when you are ready to go, we will pack up and head out on the water. The area that surrounds our resort is full of Native American heritage which is really something to behold. Also, most of the river is still undeveloped, meaning that it’s a great spot to view wildlife in their natural habitats. Be sure to bring your bathing suit and any other swimming items you like as you are going to want to swim in the beautiful water of the Suwannee River basin. These famous springs are sure to make your swimming experience a fun time and one you won’t soon forget. There is a very small island just downstream from our resort that is ideal for fishing. Many of our past guests have had much success when dropping a line near it. So if you’re in the mood for it, you can take your canoe or kayak and head on down to see if you can bring home a new trophy from your vacation. Suwannee River Rendezvous is a resort and campground in Mayo, FL. If you are looking to hit the outdoors for your next vacation, then we are the perfect spot for you. For more information on our resort or to book a stay with us, feel free to contact us or call today at 386-294-2510! Posted November 17, 2015 by SRRR Staff & filed under Vagabond View. “A Wanderer’s reflections and commentary on the Rendezvous Experience; Happenings, interesting people, the local color and splendor of this magical place”. Vag – a – bond: noun: A person, usually without a permanent home, who wanders carefree from place to place. Allow me to introduce myself; I’m Dave Pearson, a recent arrival here at the Suwannee River Rendezvous. As a full-time RV’er, writer and musician I was so taken by this special place that I decided to stick around for a while. Needless to say, my first impressions were validated in the ensuing days. The days melted into months as I was seduced by the serene surroundings, wonderful people and many diversions. This prompted me to seek Susie’s blessing for creating a website Blog wherein I could share my observations and experiences with our Web visitors. Future entries will include pictures and dialog capturing the unique character of not only the physical experience, but more importantly, the diverse and colorful folks that invariably become part of Frank, Susie & Charlie’s growing “family”. With the fall season upon us, I’m off to capture and share some of this splendor with you all in my next post! !